I wanted to put a reprocess of this dusty region in Taurus on here - but it looked rubbish So here's the original. Lots of dust in there. Geezuz! I'm not sweeping that up. 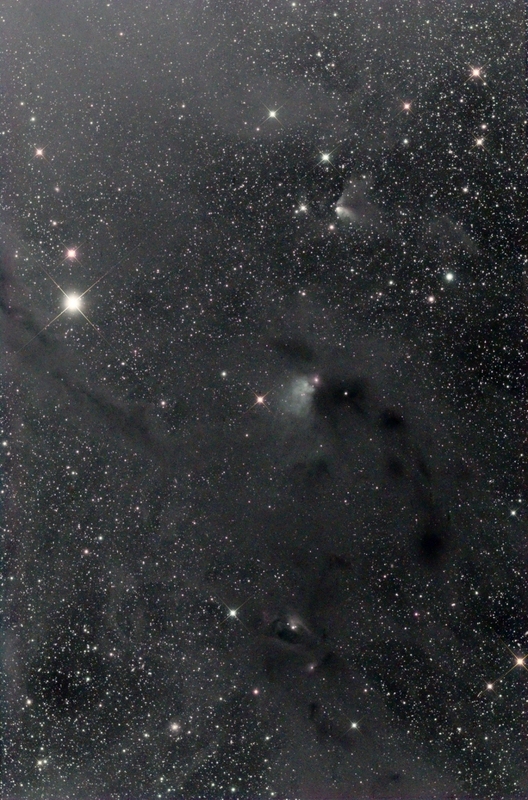 Great capture of dark neb, which is actually quite a hard thing to resolve. Nice work Prof.